 Yesterday, Freedom Network USA (FNUSA) submitted comments to the US State Department to inform the 2019 Trafficking in Persons (TIP) Report. Released annually by the Office to Combat and Monitor Trafficking in Persons (JTIP), this report ranks countries around the world on efforts to combat human trafficking and is used as a benchmark and diplomatic tool throughout the year to engage governments on this issue. As the largest coalition of anti-trafficking experts in the country, FNUSA proudly submits comments annually to inform and evaluate the anti-trafficking efforts of the US government. We applaud JTIP for continuing to solicit feedback from the field and look forward to working collaboratively in 2019. You can read our comments from previous years here.